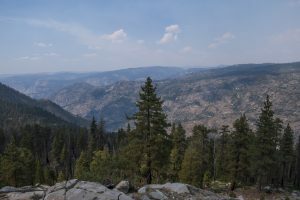 For views looking down into the Grand Canyon of the Tuolumne River, take this nice, wooded loop from White Wolf. Head towards Lukens Lake near the White Wolf Campground. 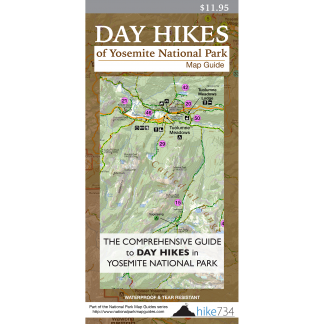 The pleasant, forested walk takes you along, then across the Middle Fork Tuolumne River. Head downhill to a nice view looking into the canyon where a keen eye can make out Wapama Falls. Continue down to the trail junction and head west (left). Traverse across the hillside, then switchback up the steep trail through Harden Gardens, with its aspens and flowers, to Harden Lake. Follow the trail through the woods and onto the road back to White Wolf (see Harden Lake). Trailhead: Follow the signed road to White Wolf off Tioga Road. Park near the lodge before entering in the campground. The trail begins across from the lodge.